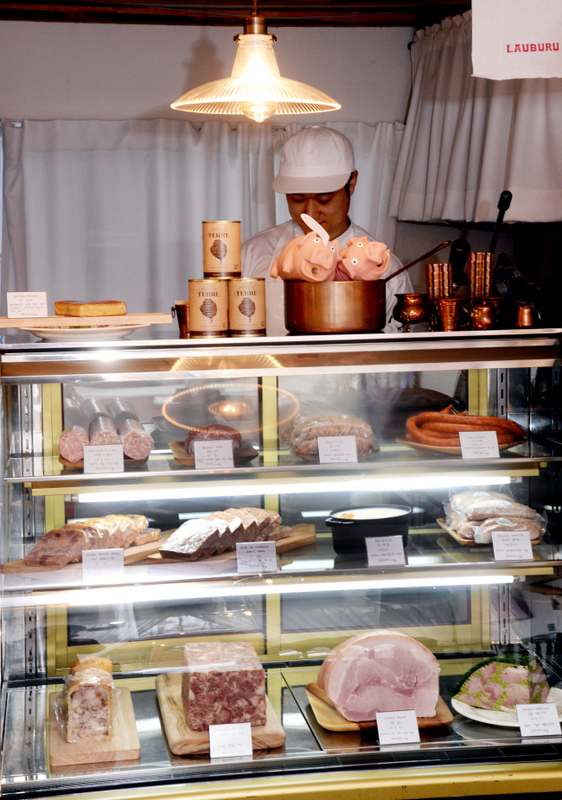 It started with salami, charcutier Jo Woo-ram, confessed, taking a break from hours spent crafting wobbly, luscious blocks of pate and meltingly soft wheels of blood sausage to explain how it all began. “I went to study cooking in Italy,” Jo, 31, said, where he developed a fondness for salami. When he returned to Korea, he found himself craving salami and decided to make it himself. “It tasted good but I wasn’t sure if it was accurate,” he recalled. 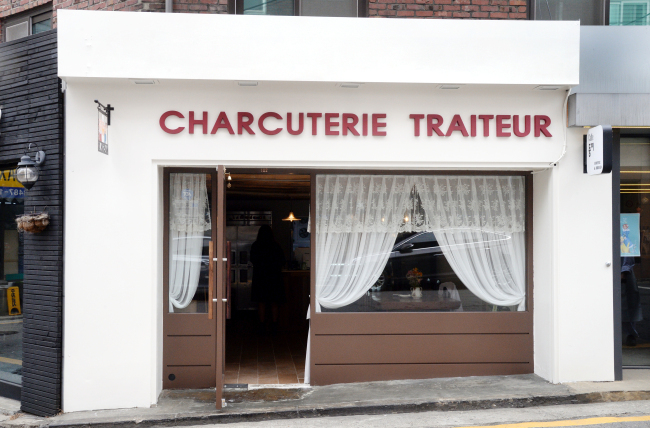 Jo decided to learn more about charcuterie, traveling to France where he stayed for five years and honed his skills before opening Maison Jo in Seocho-dong, Seoul, this March. Maison Jo, an artisan charcuterie, is a tasty reflection of the years Jo invested in learning the centuries-old culinary tradition. Boasting a white storefront with sheer, lacy curtains, taupe tiled floors and dark wooden tables, Maison Jo sells a diverse selection of pates, sausages and ham that will also soon be available in-house this April. “We will be serving dinner here on Thursdays, Fridays and Saturdays,” said Jo, gesturing to the large communal table in his shop. For now, one can take Maison Jo’s charcuterie to go, from rich and soft slices of boudin noir -- a sausage made from pig’s blood, pork and onions -- to citrus-infused slices of canard orange navel -- a delicious, gelatinous duck pate made with the juice and zest of oranges. There is also a beautiful pate en croute, a rich, buttery and unctuous delicacy that is also visually stunning with its golden-hued pastry dough crust. 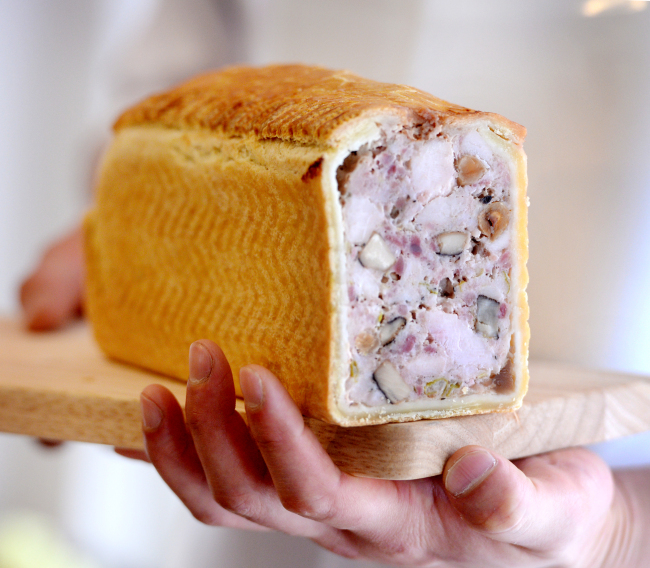 “We change the pate used for the pate en croute once every two weeks,” said Jo. Jo can, without even pausing, list the days it takes to create everything at his shop, explaining that most of the charcuterie takes three days to make while the fromage de tete takes five days to make and the jambon blanc a week. Jo’s tireless dedication shines through in the charcuterie that is as beautiful as it is edible, from Maison Jo’s verdant parsley-flecked jambon persille to an orange-red coil of pimento-infused txistorra sausage.